Borgerhout Squirrels win the Federations Cup 2017 in Valencia. The Squirrels Seniors Baseball Team has won the final on Sunday with 4-2, in a till the last inning exciting match against the unbeaten Astros Valencia. With this victory Borgerhout will receive a spot in the 2018 CEB Cup. A big deal for European International Baseball Teams. 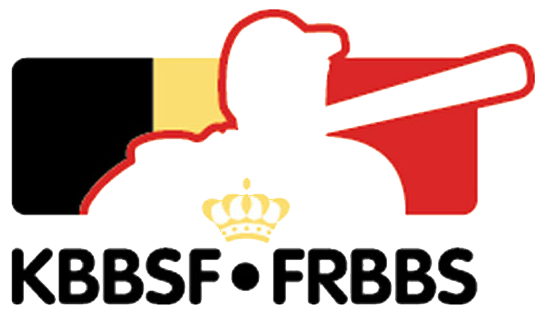 And a great achievement for Belgium Baseball. In the same tournament, the Deurne Spartans reached a nice third place. A sign that our collective baseball achievements are on the up. In the middle of the national baseball season the Squirrels and Spartans stand first and second in the Belgium Baseball Gold League. 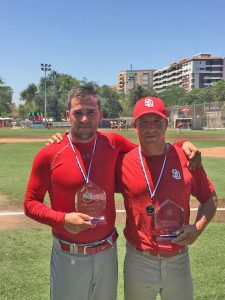 In the Federations Cup final, Squirrels and also Belgium Red Hawks player Kenny van den Branden, who was voted best pitcher of the Dutch Baseball Competition last year, pitched out all nine innings! The Astros were held back to eight hits, two runs, two walks and seven strike outs for the victory. During the final ceremony of the tournament, Kenny van den Branden was named MVP ( Most Valuable Player) of the Federations Cup 2017. Squirrels and Red Hawks team mate Steven De Lannoy picked up the Best Batter Trophy for his excellent at-bats during the tournament.